Convert movies/films from anywhere to enjoy on your iPad, iPhone or Apple TV! Why Choose Wondershare Video Converter Pro? 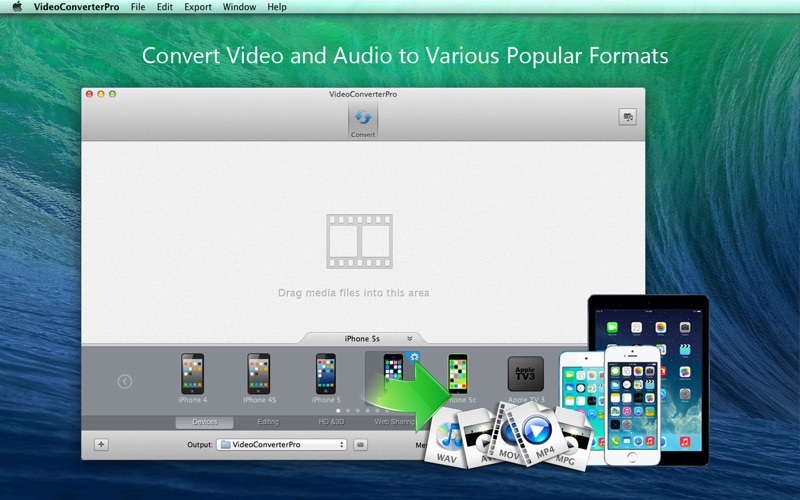 Wondershare Video Converter Pro is a powerful tool to convert video & audio files to perfectly fit iMovie, Final Cut Pro, iTunes, iPhone, iPad, iPod, Apple TV and most mobile devices. √ Convert at a 30X faster speed with ZERO quality loss. 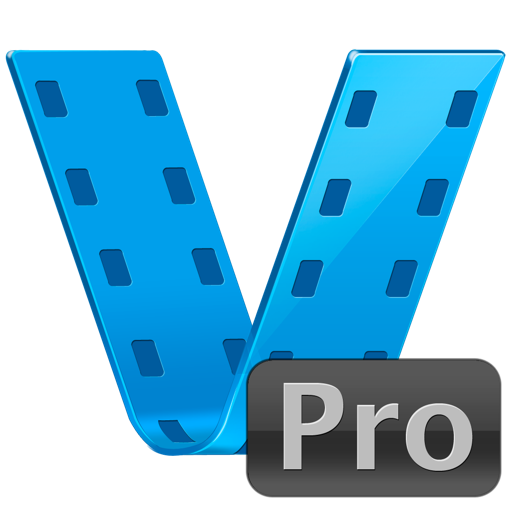 - Convert both standard definition videos (AVI, MP4, MPG, WMV, etc.) and high definition videos (HD MP4, HD WMV, HD MOV, etc.) to 3D formats. - Convert audio files to most popular formats including MP3, M4A, M4R, FLAC, APE, WAV, AC3, AIFF and etc. - Simply plug in your device and it will automatically scan and display all of your recorded files onto the app's main window. Alternatively, drag-n-drop your AVCHD files from your desktop's folder or memory card. 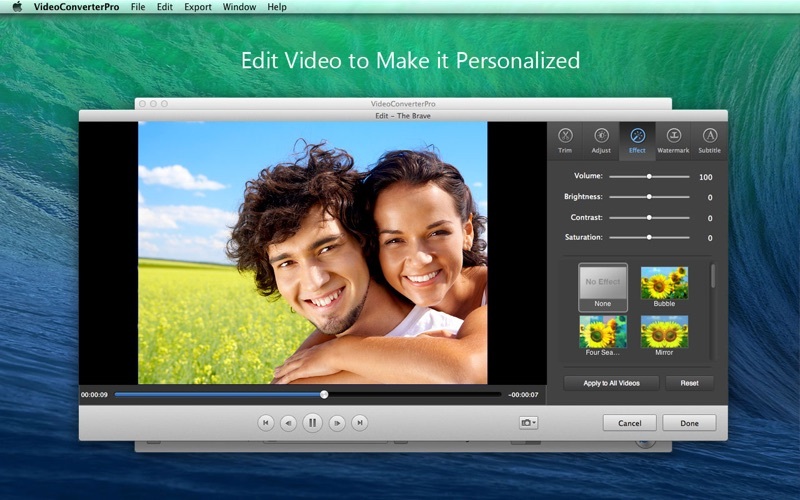 - Convert videos to be high compatible with various popular applications like iMovie, Final Cut Pro, iDVD and etc. - Convert videos for sharing on social media like YouTube, Facebook, Vimeo and etc. - Game players: Xbox (Xbox 360 & Xbox One) PlayStation 3, PSP, Nintendo Wii. - Crop, split, rotate, adjust effect, and add customized watermarks, etc. - Retrieve, add and edit movie's metadata such as artwork, actors, directors, episode name, and etc. 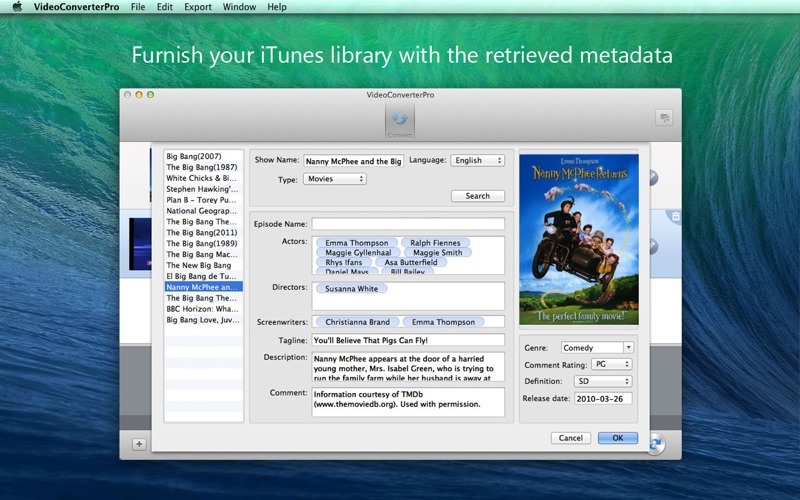 - The converted videos, together with the retrieved metadata can be transferred and synchronized into iTunes library. *** Wanna burn home DVDs and more? Please check out 'Wondershare Video Converter Ultimate'. Now on sale! Need HELP? Please contact us and we'll feedback to you ASAP. 1.Retrieves metadata for imported videos. 2.Support iPad Mini 2, iPad Air, PlayStation 4 and Xbox one. 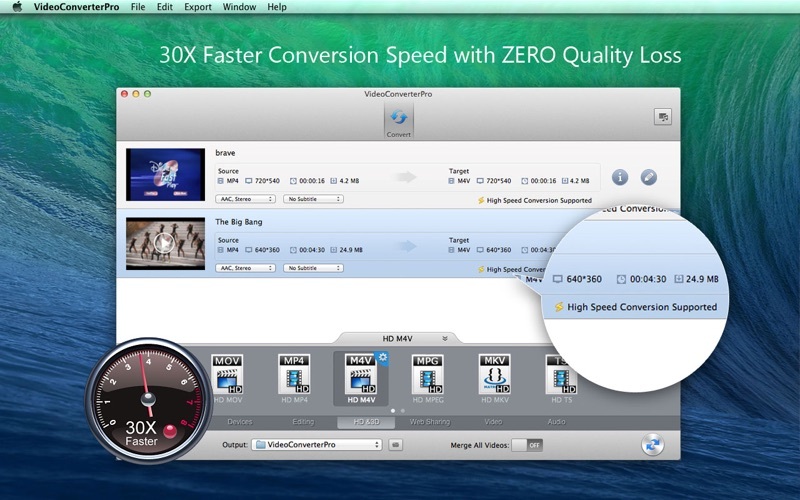 2.Convert Videos 30X Faster in lossless quality. 4.New UI design makes it easier to get tasks done in one main interface. 5.New effect library for adding fun effects to videos. 6.Fixed bugs such as software freezing. Provides 1080p output video for the new iPad and Apple TV 3.